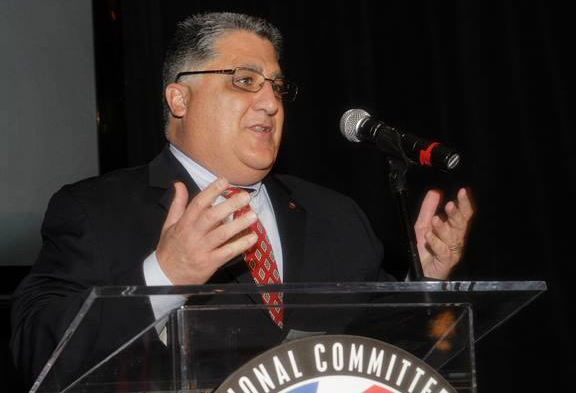 SACRAMENTO—Senator r Anthony J. Portantino on Wednesday sent out a letter to his Senate and Assembly colleagues in the Capitol urging them to resist increased lobby efforts put forth by the Government of Azerbaijan. Portantino became alarmed by the increasing presence of the Azeri Government in Sacramento and in Los Angeles. Recently the California Azerbaijan Friendship Association (CAFA) has begun outreach to political and academic leaders in a significant public relations and lobbying effort. And, last year Azerbaijan opposed Portantino’s initiative to create a formal State Senate Select Committee on California, Armenia & Artsakh cooperation. Senator Portantino has been at the forefront of promoting efforts in Sacramento to advance economic relations between California and Nagorno-Karabakh which is also known as Artsakh. Given Azeri aggression toward the people of Artsakh, Portantino felt it necessary to share his strong views and give Senators and Assemblymembers a complete picture of events in the region. Portantino represents the 25th State Senate District which is home to many Armenians who trace their heritage back to Artsakh. “As the proud representative of the largest Armenian community in the country, I have become quite alarmed by Azeri lobbying efforts in Sacramento. I feel it is important to proactively guard against its influence. As a legislative body, we must unite and fight against attacks on human rights and unprovoked aggression against a peaceful and sovereign country,” commented Senator Portantino. The 25th Senate District has the largest Armenian American community in any legislative district in the country. Senator Portantino is the Chair of the Select Committee on California Armenia & Artsakh Trade Art and Culture Exchange. He has a long history fighting for the civil rights of the Armenian Community. “The Legislature must strongly condemn civil rights abuses and attacks by foreign governments on innocent people. Accordingly, it must refuse to cooperate with such governments until there is a demonstrated effort toward reconciliation. Joining the California Azerbaijan Friendship Association would in effect condone the Azeri government’s acts of violence against the Armenian people of Artsakh,” concluded Senator Portantino. Sen. Portantino represents nearly 930,000 people in the 25th Senate District, which includes Altadena, Atwater Village, Bradbury, Burbank, Claremont, Duarte, Glendale, Glendora, La Cañada Flintridge, La Crescenta, La Verne, Monrovia, Montrose, Pasadena, San Dimas, San Marino, Shadow Hills, Sierra Madre, South Pasadena, Sunland-Tujunga, and Upland.